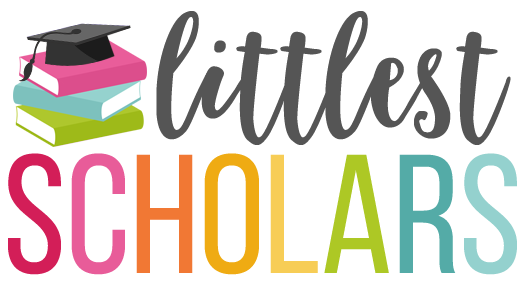 I'm sure you have heard the news but if you haven't let me be the first to tell you...Teachers Pay Teachers is celebrating reaching 100,000 fans on their Facebook page by throwing a sale! A bunch of my friends and I are throwing sales to save you even more. My entire store is 20% off and you can use the code FB100K to save 10% so that's a total of 28% off! 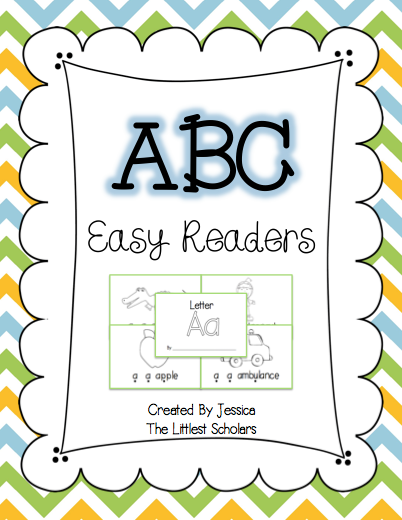 These Alphabet Easy Readers are perfect for reinforcing concepts of print, letters, sounds, letter-sound correspondence, and 1:1 tracking. You can grab the entire unit for only $5.20. 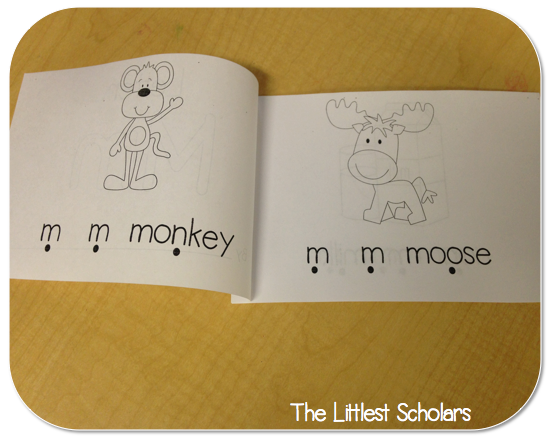 Here's a picture of the Letter Mm book in action a few weeks ago. Check out some feedback on this item! "Love these!! Great practice for beginning letter sounds! Cute pictures! Kiddos are always asking why can't we color the pictures, why do we have to take it home to color?" 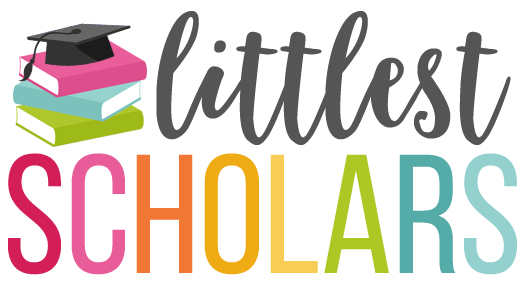 "Great for those kiddos struggling with letters and letter sounds. Very simple for the kids." They have become my recent bestselling item! We make a new necklace each week as we learn a new letter and sound. 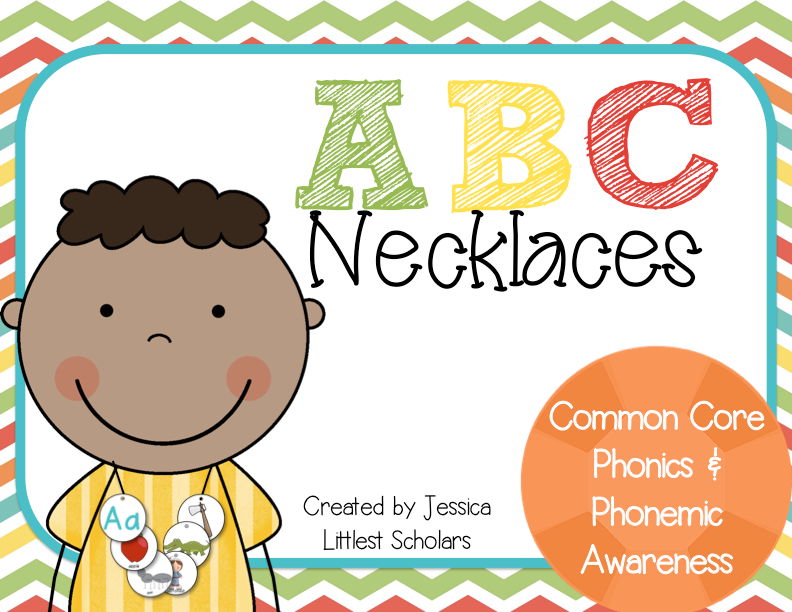 The necklaces support letter recognition, sound and word production. "My Pre-K students love these necklaces. My students put them together on Monday and wear them all week which allows us to teach beginning sounds, syllables and focus on one letter/sound." "Love these! My Pre-K kiddos will love going home every week with a new letter necklace to share!" These phonemic awareness practice sheets help develop those crucial phonemic awareness skills in my little scholars. 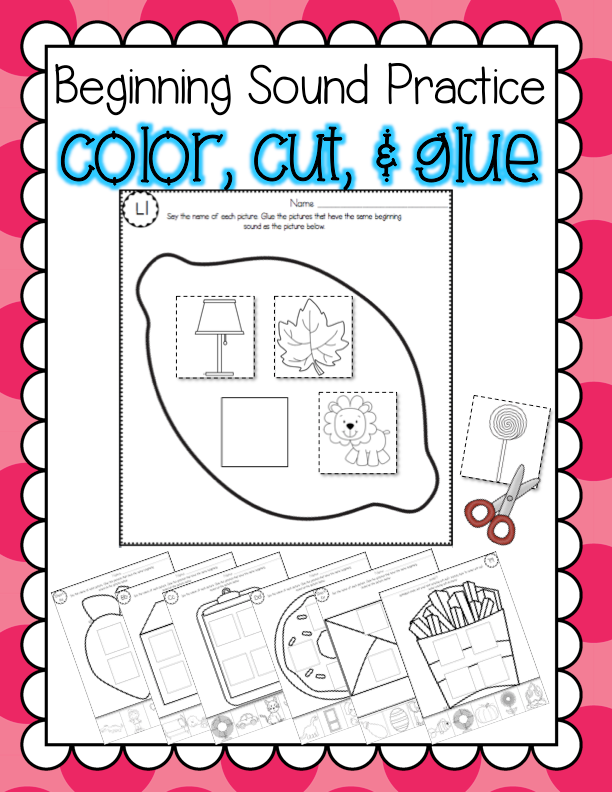 We focus on one sound each week and the students complete one page as part of their centers work. True to phonemic awareness form these pages do not contain letters as the focus is listening to the initial sounds in the word. "This is great for Kindergarten. The pictures are easy to understand. My kiddos think its a game to figure out which one does not belong." "We did our first letter (M) on Monday. This is great for the first day of the week - focuses solely on phonemic awareness. Once we get more into the swing of things the kids will be able to do these independently at a station."